Control of NCDs requires integrated action across all major areas of society that influence health. Yet system-wide efforts to improve the social determinants of health, such as early childhood education and parenting skills, education and lifelong learning, working and employment conditions, poverty reduction and ensuring a healthy standard of living, housing and the environment, and prevention of ill health, are yet to take root in many parts of the world. The argument for integrated action rests on evidence compiled by the World Health Organization Commission on Social Determinants of Health. Social determinants are responsible for the pattern of distribution of disability and mortality from NCDs.7 Simply stated, social determinants encompass the “causes of the causes” of health inequality: the unequal conditions in which people are born, grow, live, work, and age; and the inequities in power, money, and resources that give rise to them.7 These unequal conditions depend on dimensions of social stratification, including socioeconomic status, gender, ethnicity, and disability. This article focuses predominantly on risks targeted by the WHO NCD prevention strategy and shows how social determinants shape the prevalence and distribution of NCDs in at least four ways. Firstly, social determinants shape the distribution of the four main behavioural risk factors of NCDs—that is, unhealthy diet, physical inactivity, tobacco smoking, and excess alcohol consumption—and three physical conditions that are risks for NCDs—namely, raised blood pressure, obesity, and diabetes. To illustrate this point, the article focuses on aspects of diet and alcohol. Secondly, social determinants trigger stress pathways affecting mental health and other NCDs. Stress is also associated with unhealthy behaviours that are risks for NCDs. Thirdly, environmental exposure to pollutants linked to specific NCDs is socially determined. The fourth way, mentioned here but not explored further in this article, is that social determinants influence secondary prevention, diagnosis, and treatment of NCDs, including, for example, the affordability of drugs. Inequalities in social conditions experienced from before birth and in early life have long lasting effects during a lifetime that contribute to NCDs. Social gradients exist in aspects of child development in the early years, including physical, cognitive, and emotional/behavioural development. Socioeconomic disadvantage in the early years affects the development of parts of the brain that contribute to regulation and control of behaviours and thought. In relation to risk factors for NCDs, this includes levels of cognitive control over diet and activity levels.8 This may explain why diet and physical activity seem to be under greater cognitive control among more advantaged groups in upper middle income and high income countries, contributing to the social inequalities in NCDs. Cognitive control is not the only explanation for unhealthy diets. Social gradients in overweight and obesity are seen at age 5. At that age, children’s choices are largely determined by their family environment. Levels of overweight and obesity among children increase by the last year of primary school. In England, among children aged 10/11 in year 6, the final year of primary school, in 2016/17 the prevalence of obesity in the most deprived areas was 26% compared with 11% in the least deprived areas.9 Over a 10 year period, the rise in obesity prevalence slowed in children from affluent areas, but continued in children from deprived areas. Thus, inequalities increased (fig 1). We cannot solve the obesity problem without solving the inequality problem. It is predictable that inequality in childhood obesity will continue into adulthood with, in consequence, increasing inequality in the health problems caused by obesity. The social determinants driving the obesity gap need to be tackled urgently. The causes of obesity are complex, including genetic/physiological factors, growth patterns in early life, and eating and physical activity behaviours.1011 These, in turn, are influenced by the social determinants of health. Intervention has been attempted at different levels. The first, individual level has not been promising. The rationale has been that individuals are free to choose what to eat and how physically active to be. Evidence shows that this argument provides an inadequate explanation for the differences in distribution of health related behaviours, and that responses based on this premise are ineffective at reducing inequalities in health behaviours. Healthy eating interventions targeted at individual behaviour change, such as dietary counselling, have greater benefits for individuals of higher socioeconomic position, thereby tending to increase inequalities.12 It is unlikely to be helpful for general practitioners simply to give patients diet sheets on healthy eating and expect them to follow them. Individual choices are constrained by social, environmental, economic, political, and cultural factors. In addition, constraints on choices vary by social position, rendering unequal choices. Many other influences on food choice exist. Lack of money is an important one. It has been estimated that households in the bottom income decile in England would have to spend over 70% of their income to follow healthy eating guidelines.13 Paying rent, heating the dwelling, and eating healthily are incompatible aspirations. While evidence about socioeconomic distribution of dietary patterns is limited in low and middle income countries, the evidence available shows that low socioeconomic groups consume lower quantities of fruit and vegetables than more affluent groups.15 Affordability of a healthy diet is a critical factor for those on low incomes in all countries. Living in deprived conditions can mean experiencing adverse environmental, living, working, and social conditions that create stress. Coping mechanisms for stress vary according to individual resilience and levels of social support, but ways to cope may include smoking, drinking alcohol, and comfort eating, all of which contribute to inequalities in NCDs. Prolonged experience of stress also directly triggers mental health problems and physiological responses that contribute to NCDs. Many countries in Latin America are facing high levels of violence that contribute to social stress among the population. A study in Mexico reported an increase in perceived vulnerability between 2005 and 2014 that occurred in parallel with an increase in homicides.21 Experience of stress for long periods of people’s lives is likely to increase the risk of unhealthy behaviours and NCDs. Given this, tackling the root causes of violence is likely to prove an effective public health intervention to control NCDs. All of these pieces of evidence point to the conclusion that the mind is one important gateway through which social circumstances influence health and disease. These influences operate through the life course—for example, on brain development in young children, risky behaviours and mental illness in adolescents, stress at work and at home in working age people, and the impact of social isolation on mortality risks in older people. Tackling the root causes of these influences will contribute to the control of NCDs. Pollution of all kinds killed more people in 2015 than major individual risk factors for NCDs, including tobacco smoking, except for combined dietary risk factors and hypertension.23 Globally, deaths from air pollution greatly exceed deaths from other kinds of pollution, and more of these deaths are in middle income countries than high income countries.23 Poorer groups are more likely to be exposed to pollutants and they are more likely to have pollution related diseases. In the UK, area deprivation is associated with increased exposure to environmental pollutants that contribute to inequalities in NCDs.24 Children face particular risks associated with exposure to pollutants—for example, with risks to cognitive development from neurotoxic pollutants such as lead, and risks of asthma and respiratory diseases from traffic related pollution. Not only pollution control but also poverty reduction should be part of any national plan to improve health and reduce NCDs. To embed integrated action across sectors as a consistent approach to policy development it is important to align priorities across sectors and agree indicators to measure outcomes. The new development agenda, defined by the sustainable development goals in 2015, expanded the development agenda to include NCDs, with a target to reduce premature mortality from NCDs by a third by 2030 through prevention and treatment and promote mental health and wellbeing. To achieve this over the long term requires action on other sustainable development goals, including tackling poverty and inequality, and action across multiple sectors to improve conditions across the life course. More than 10 years since the publication of final report of the WHO Commission on Social Determinants of Health, its call for action on social determinants to improve overall population health and to tackle health inequalities continues to resonate around the world. To achieve long term progress on NCD prevention, a whole system approach is needed that deals with the causes of the causes of risk factors for NCDs and takes a life course approach to tackling social inequalities. Contributors and sources:MM chairs the Commission on Equity and Health Inequalities in the Americas, set up by the WHO’s Pan-American Health Organization (PAHO/ WHO). He was chair of the WHO Commission on Social Determinants of Health (2005-2008). 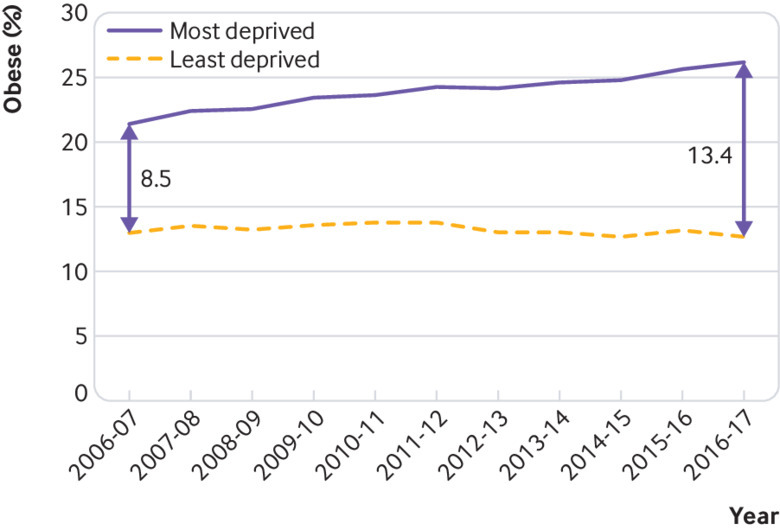 MM conducted the Strategic Review of Health Inequalities in England post 2010, which published its report Fair Society, Healthy Lives in February 2010. RB provides evidence reviews for strategic policy oriented reports regarding integrated action across sectors to tackle health inequalities and has a particular interest in the social determinants of non-communicable diseases. She currently leads work to evaluate innovative interventions within two HORIZON 2020 projects: INHERIT and Cities-4-People. This article is part of a series proposed by the WHO Global Coordination Mechanism on NCDs and commissioned by The BMJ, which peer reviewed, edited, and made the decisions to publish. Open access fees are funded by WHO.
. Tackling obesities: future choices– project report.2nd ed. London Foresight Program Gov Off Sci, 2007. Alcohol Research UK. Understanding the alcohol harm paradox in order to focus the development of interventions. 2015. https://alcoholchange.org.uk/publication/understanding-the-alcohol-harm-paradox.
. The health gap.Bloomsbury Publishing, 2015.